Although heterochromia is a genetic mutation, it is so hip these days. The person suffering from heterochromia has different colored eyes. It is an insanely beautiful disorder that is very mesmerizing and creates dazzling effect. Many celebrities from around the world use 2 colored lenses to fake heterochromia and this is just not the end, several famous anime characters are featured with heterochromia. 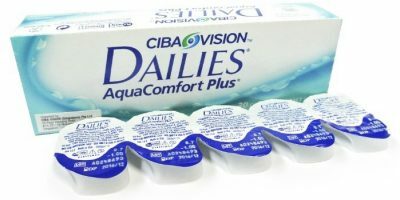 EOS Fay Series known for the comfort levels is now introducing 2 colored eye contact lenses available in as many color combinations as you wish. 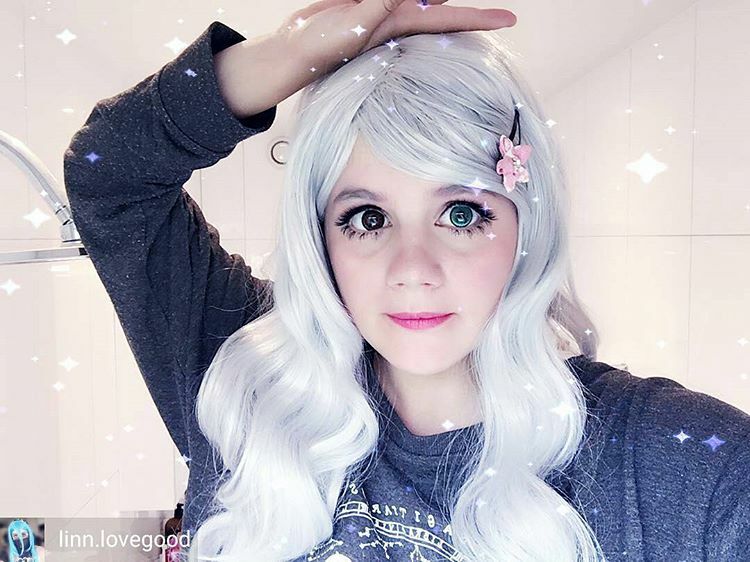 Fake heterochromia for stealing looks and jaw dropping transformations either for an attention grabbing cosplay or a mesmerizing transformation for a whimsical evening. Heterochromia is in the air ;)! Yuna from final fantasy is very fragile in her looks. She is soft spoken, intelligent and serious girl. Overall she possesses a heart capturing personality. She is smart in her appearance. Her attire shows that she is an outdoor girl. Her stunningly beautiful eyes have a lot to do with her charming personality. She possesses two coloured eyes; complete heterochromia with right eye colored green and left blue eye. Tall, young, dressed in gown or robes. Straight posture, erect shoulders, blue long hair tied to waist length, narrow forehead with front fringes. 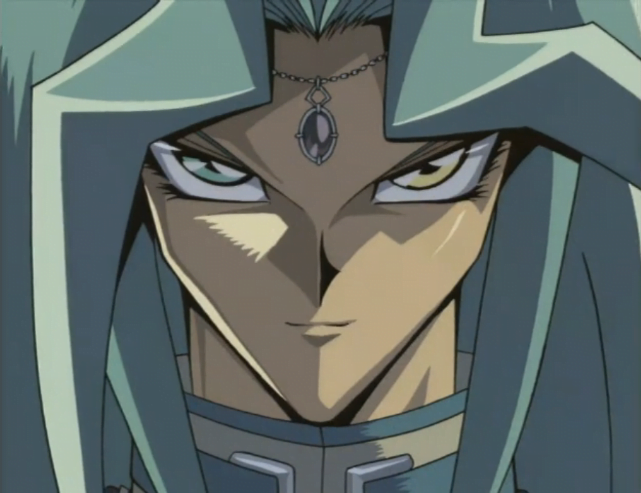 Yes, Dartz-sama from the Yu-Gi-Oh has a heterochromia that is mightier in looks than any other character. He wears a stone on his fore head. His wide heterochromatic eyes; right green and left gold have piercing gaze. His belligerence looks and powerful majestic personality may be a good choice for those looking for some serious boys’ material for cosplay transformation. Girls are going to lie flat for your heterochromatic gazes!! 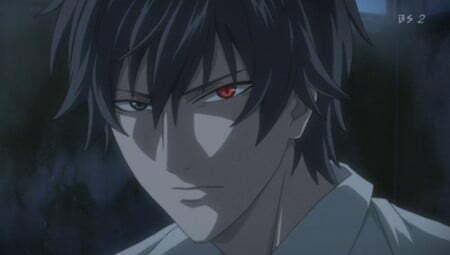 Shaggy dark grey hair, casually dressed in white shirt and blue jeans is what describes well a grown up college boy-Yakumo Siatou– a born heterochromic boy with dark grey right eye and red colored left eye. He claims to see ghosts with his red eyes. He is best for cosplays transformation. Who knows a friend of yours possessed by some spirit may need your help that can lit a fire between two of you. This is your chance to fake heterochromia and to create a powerful lasting impact on your girlfriend! Misaki is a shy introvert school girl. Her right eye is red and left is green. She lost her eye in her childhood and her mother made her a different colored glass eye. The resulted heterochromia left her in despair and she started wearing a patch on her left eye to hide the double colour. She probably had not known how beautiful she looks with the pointed chin and coloured eyes! The most ravishing twins I’ve ever known. 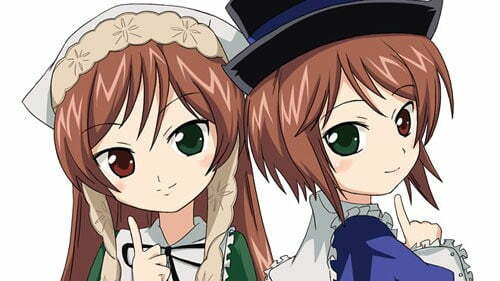 Souseiseki (right in the picture) is the tom-boy sister of her twin Suiseiseki. Souseiseki is dressed like men, she spoke in a very masculine manner and she gave herself a very boyish nick. 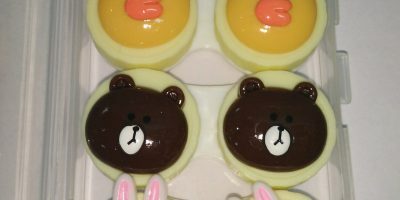 Her twin Suiseiseki wears vintage dresses and bears kuwaii doll looks. They both are opposite to each oother in every aspect even in heterochromia. Souseiseki has left—green coloured eye and Seuiseseki has right one coloured in green.